Posted on September 15, 2015 by David Tate, Esq. Dave Tate’s comments: new confirmation, as if any was needed, that the PCAOB takes and will continue to take internal controls and audits of internal controls very seriously. 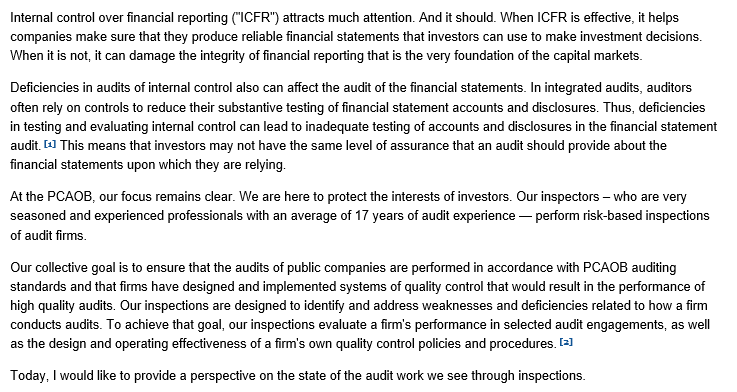 External auditors, executive officers, boards and audit committees, internal auditors, and legal counsel, and most likely senior management also, need to know or have sufficient understanding about internal controls, in addition to risk management. Do you know COSO 2013? Time to learn? ← Fraud: Is Your Nonprofit Ripe for the Picking?